In Lord of the Rings Gimli was the prototypical dwarf. He embodied everything there is to know about the prototypical race of diminutive ax wielders. When we think dwarf we think short, round, heavily bearded, slightly surly, man… or woman. They say no one has ever seen a dwarf woman because they’re indistinguishable from the men. I’d like to be upset about this, but the truth is that with twelve different dwarf characters in the film the audience will need some way to differentiate between them. Make them all, short, squat, surly guys with massive beards and they’ll all just blend together. 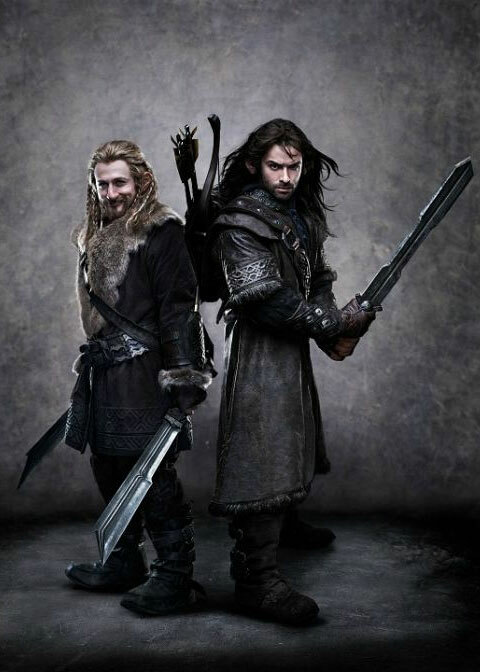 Besides, most of the other dwarf characters we’ve seen from the movie so far fit the mold. Check them out in our Hobbit image gallery.